When it comes to visiting restaurants with the children we tend to stick to ones that we have previously visited. This is down to ensuring that the menu holds something that Tigger will eat and partly down to us being conscious of other diners when the children are playing. One of the restaurants that Mr. Boo and I have wanted to visit for a while is the Middletons Steakhouse & Grill, Norwich. However, having only known couples and groups that have previously visited and enjoyed the food and service – we were unsure whether or not it was a place to bring the children. Or whether we would have to wait for that rare occasion when we are childfree to visit. 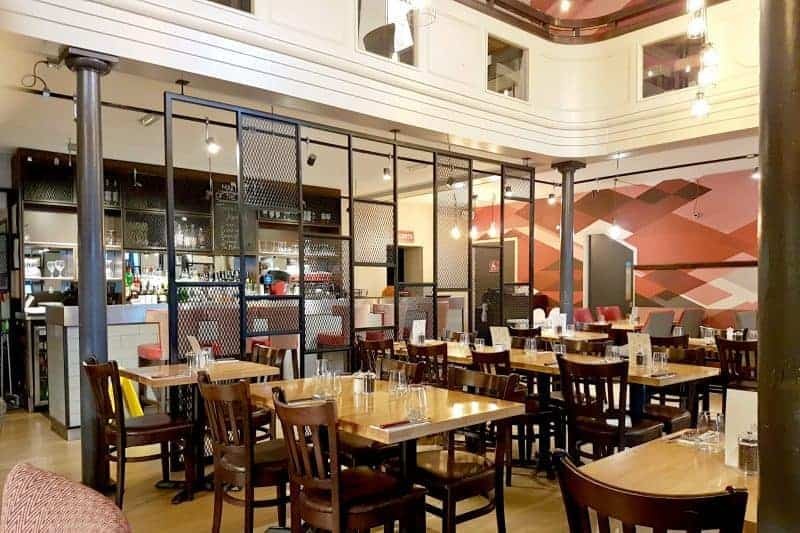 As luck would have it Middletons Steakhouse & Grill, Norwich recently contacted us to see whether we would like to visit one afternoon after school to try out the fixed price menu with the children. Located in the heart of Norwich on Timber Hill. Middletons Steakhouse & Grill is situated within an easy walking distance of the bus station, Castle Mall, VUE cinema and several parking facilities. No matter what take you into the city, let Middletons be one of the reasons on your to-do list and talk a walk inside for a relaxing dining experience. With the restaurant’s location on Timber Hill, you might be fooled into thinking that the older style building will be dark and cramped. However, take a step inside to find a light, bright and open feeling to the restaurant, whilst still providing the intimacy that you want whilst you enjoy your meal. 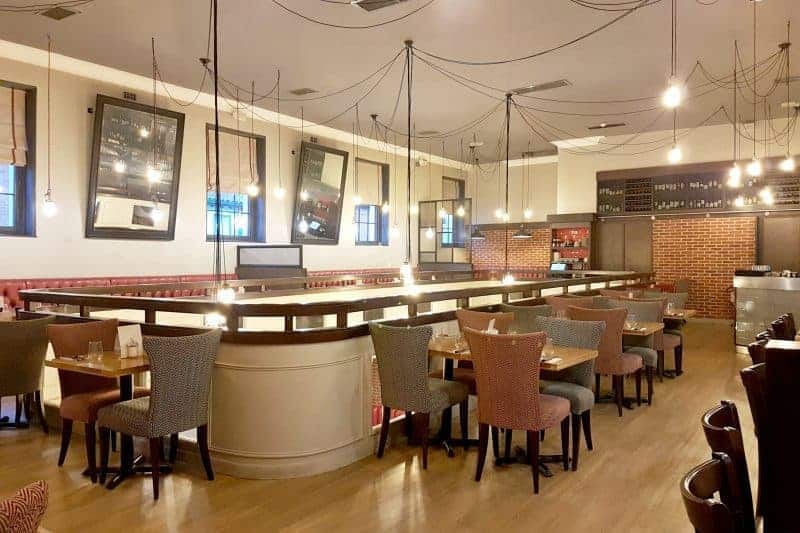 Set over two floors, the restaurant has a number of different seating options available depending on your preference and how many are in your party. We were fortunate to be seated in a large circular booth, which gave our family of five ample space even with Piglet in a highchair. Middletons Steakhouse & Grill offers an amazing selection of dishes, with the meat dishes using meat from their very own butchery in Middleton – so they can ensure that diners are getting the best quality and freshness that they deserve when dining out in their restaurants. With a Middletons Fixed Priced Menu available Monday through to Saturday 12pm-6pm. Offering the option of having one course for £7.95, two courses for £8.95 or three courses for £9.95 – Seriously, £9.95 for a three-course meal! With a variety of dishes to choose from the fixed price menu is the perfect post-shopping, after school/work treat or even pre-night in the city. With the children’s fixed price menu running alongside the offer starting at £4.95 for two courses or up to £6.95 for three courses depending on portion size required – it boasts great value for money, plus the children get a glass of squash included within their meal price too. Walking into Middletons Steakhouse & Grill in Norwich with all three children, I was somewhat nervous about what noise, mess, and disruption they might cause during our meal. Given that the restaurant is so beautifully presented I wasn’t convinced that this was going to be the right style of restaurant for our family. Within minutes of arriving I was proved just how wrong I was, with the waiters popping over to chat to the children, assist us with the highchair for Piglet and organising colouring supplies too. Both the fixed price menu and children’s menu caters for almost all tastes, with Tigger being our fussy eater we were able to select fish goujons and chips for him, whilst Roo opted for the sausages and chips (which comes with five sausages, she was very happy!). The adult menu offers great value for money, especially if you are able to manage three courses, with each course offering an ample sized portion. Middletons might have originally been somewhere that Mr. Boo and I wanted to visit, but now we know it is somewhere that we can easily take the whole family so we will be back again soon (I need to try the Eton Mess! ).